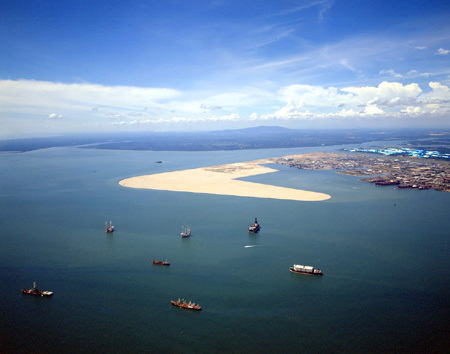 wild shores of singapore: Massive Malaysian reclamation off Western Catchment has begun? 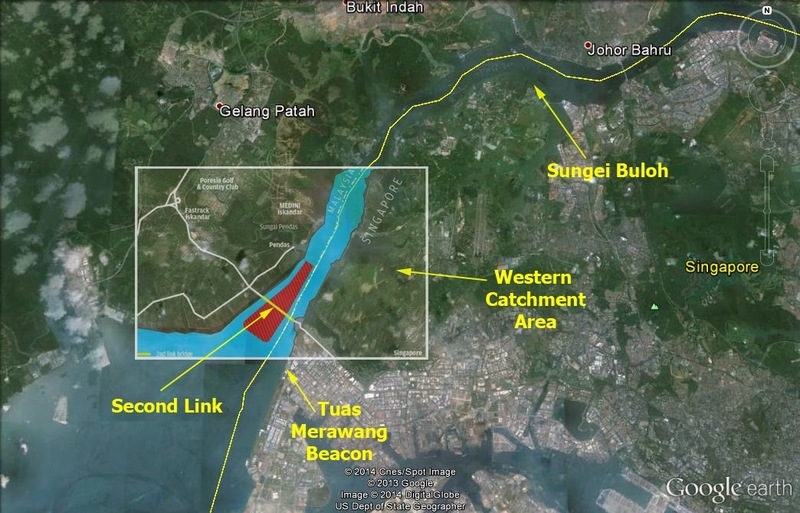 Massive Malaysian reclamation off Western Catchment has begun? "The project has since begun with sand barges dumping sand while the Detailed Environmental Impact Assessment (DEIA) has yet to be made available to the public." write Save our Seahorses (SOS) Malaysia, a group which has been working in the area for many years, in a letter to the press on 24 Mar. Dubbed "Forest City", a massive reclamation project to build luxury homes (area in red) could entail "a few thousand acres" making it one of Iskandar Malaysia’s single largest projects, The Star reported on 19 Mar. "It is understood that the new project by the China’s Country Garden Holdings Co Ltd and Kumpulan Prasarana Rakyat Johor (KPRJ) joint venture, which is situated near the second link crossing to Singapore, will also become a new tourism hub. Previous reports have indicated that the Johor government might also consider creating Malaysia’s biggest duty-free zone in this reclaimed land area, leveraging on its proximity to Singapore." Save our Seahorses (SOS) Malaysia says: "The approval of this plan means that Malaysia’s largest intertidal seagrass meadow measuring 1.8km in length covering over 38ha will be permanently buried. Being the largest seagrass ecosystem in the country, it harbours a unique biodiversity and the densest seahorse population in Malaysia. Local fishermen depend heavily on the seagrass meadow to support their livelihood. Removal of this unique area will have an adverse impact on the environment as well as those who depend on it. We urge for the reconsideration of the massive reclamation project for the sake of the great diversity of marine life, livelihood of the locals and survival of the Meram­bong seagrass meadow, Malaysia’s largest intertidal seagrass treasure." Early signs of impact of reclamation? In Feb, mass fish deaths was reported in the area. The Star reported that "the deaths occurred about 3km from a land reclamation project but the department said no industrial pollution or oil spillage were detected in the waters. At least 10 fish farms and 250 traditional fishermen were affected by the death of the fishes. 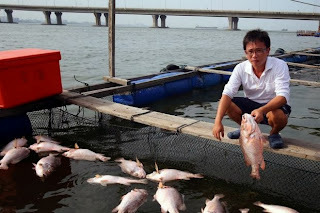 State-owned Kum­pulan Prasarana Rakyat Johor Bhd denied the mass fish death was caused by the nearby reclamation works. KPRJ executive vice-chairman Datuk Md Othman Yusof said the project, which began on Jan 22, had followed all regulations set by the DOE and that the department would conduct checks from time to time to ensure they (the developers) stick to regulations." The area is just opposite Western Water Catchment Area, which is one of the last large undeveloped mangrove, coastal and wetland sites in Singapore. The Western Water Catchment includes four reservoirs, Tengeh Reservoir, Poyan Reservoir, Murai Reservoir and Sarimbun Reservoir. The Western Water Catchment is also a live-firing area and used by the Singapore Armed Forces for training purposes. Other sites nearby include the natural shores at Merawang Beacon, Tuas. But Singapore itself has been conducting even more massive reclamation at Tuas for a long long time, and will eventually be a mega container port. Singapore's desalination plant at Tuas may have "a slight negative impact" on marine life it was also reported.